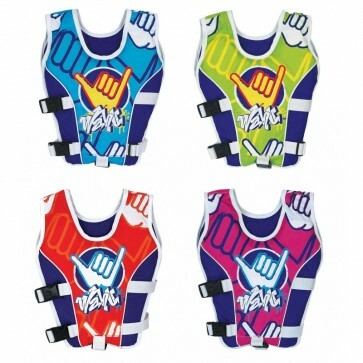 Made from durable nylon soft closed cell foam, the Wahu Swim Safety Vest (25-50kg) comes in assorted colours. Wahu vests come in a range sizes and bright colors that your little one's will just love, are fully adjustable, ergonomically designed and fully compliant with Australian Standards AS1900. Learning to swim and getting confident in the water can be a daunting challenge for children, but it doesn't have to be. A Wahu buoyancy vest can be great way to help introduce children to the water and assist them in learning how to swim and gaining confidence in and around the water.